My name is Louise and I offer an opportunity for you to discuss and work through your issues in a confidential, supportive, non-judgemental environment. As a client, you are the heart of your therapy and how I work with you will be an ongoing open communiation between us, to ensure that you get the most from your therapy. My integrative approach draws on a wide range of theories and methods to address your issues and support you as an individual. Examples of theories I use include Transactional Analysis, Gestalt , Attachment , Solution Focused and Cognitive Behavioural Therapy (CBT) and methods such as imagery, creativity, mindfulness and simply listening and talking. 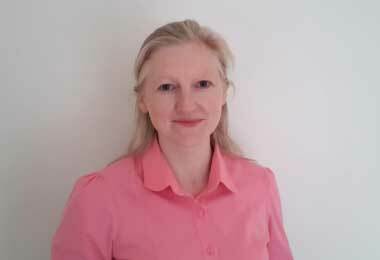 I provide short and long term integrative therapy, tailored to suit your needs. I have worked with a range of issues including low self esteem, depression, anxiety, childhood and adult abuse and neglect, bereavement and loss, trauma, work and relationship issues. As a qualified psychotheraputic counsellor, I can help you work through past and present issues, depending on your needs and what you want to gain from therapy. With over four years training and practice in psychotherapy, I am able to help you better understand yourself. This provides you with the opportunity to gain an in-depth knowledge of yourself, helping you to make the changes you want to make. As a registered member of the British Association of Counselling and Psychotherapy (BACP), I am bound by their professional ethical codes of conduct and have an enhanced Disclosure and Barring Service DBS Certificate (previously the Criminal Records Bureau (CRB). In order to continually extend and enhance my skills and knowledge, I attend relevant continuous, professional development training and receive regular supervision with The Northern Guild. To learn more about my training and qualifications, please click here.